"Your kids could have died." 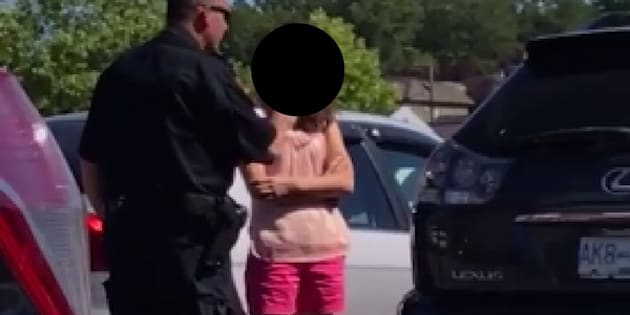 A video of a Vancouver police officer sternly lecturing a mother about leaving her children in a hot car has gone viral and pushed the police to issue a warning about the summertime danger. "Your children could have died. The windows were up and it's hot out," the unidentified officer can be heard scolding the mother. "You don't seem to understand what you've done," he added. The video was shot Monday afternoon in a grocery story parking lot on Grandview Highway and then posted on Facebook. After being shared thousands of times, media asked Vancouver Police Chief Const. Adam Palmer about it during a press briefing Friday. VPD General Press Conference with Chief Constable Adam Palmer. Lions Gate bridge climbers. Kids locked in hot car. Palmer elaborated that police received a number of 911 calls about the children, a six-year-old girl and a three-year-old boy, on Monday afternoon. "We looked at the tapes from the grocery store and the mother had been in the store for 20 minutes, leaving the kids alone in the vehicle in extreme heat," Palmer said. He also defended the actions of the police officer on the scene. The mother had been in the store for 20 minutes, leaving the kids alone in the vehicle in extreme heat. "He was trying to convey to that woman the seriousness of her actions," Palmer said, noting that he knew the officer in question was a father himself. Another video shows witnesses confronting the mother and preventing her from leaving the scene after letting her know the police had been called. When the mother says she had been in the store for five minutes, the person filming the video says they had been waiting near the car for longer than that. No charges have been laid, but the matter was referred to the Ministry of Children and Family Development, police said. Vancouver police are also reminding people not to leave their pets in their cars during hot weather.